Andrew Schafer has had a great junior career and now he is continuing his success on the Pro Circuit. 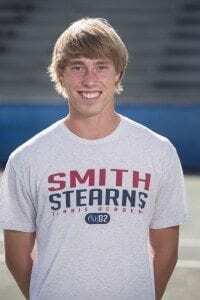 This past month he has qualified for two USTA Pro Circuit Events in Vero Beach and Amelia Island. 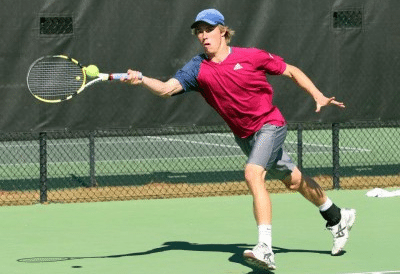 In the Vero Beach $10,000 Schafer had a win over one of the top ranked junior players in the United States Spencer Papa, who was also ranked as high as #15 in the world this year. Schafer beat Papa 6-4,7-5 and then defeated another fellow American Matthew Lasprilla 6-2,6-4 to qualify for the main draw. In the main draw Schafer fell to American Bjorn Fratangelo, who was the winner of the 2012 French Open Juniors, 6-3,6-1. It was a great experience for Andrew who gained confidence which he took into his next tournaments. Amelia Island was an even better experience for Schafer. In the qualifying he dominated fellow Americans Robert Verzaal 6-2,6-0 and Carter Lin 6-3,6-3 to earn a spot in the main draw. In the main draw he faced his friend and former Smith Stearns student Jess Jones who he beat 0-6,6-0,6-4 to earn his first ATP point. In the next round he fell to Brazilian Fernando Romboli 6-0,6-4. We congratulate Andrew on his great success and earning his first point on the ATP tour!